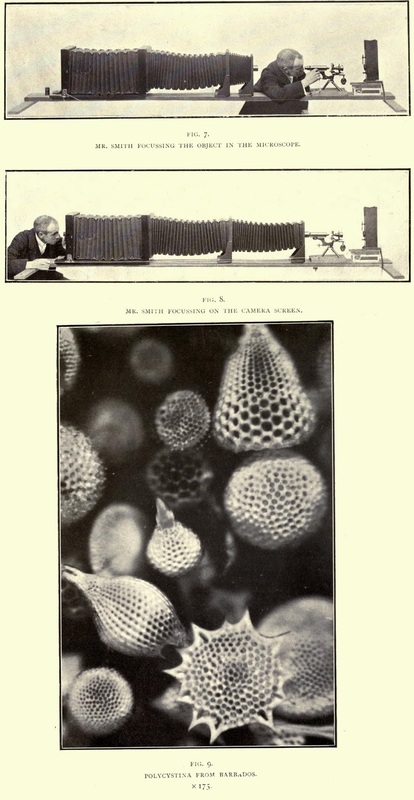 The image below shows Arthur E Smith, an expert at photo micrography, at work in his studio, and an example of his craft. Published 1909 by The Religious Tract Society. London. Charles Kingsley has said, `I have seen the cultivated man craving for travel, and for success in life, pent up in the drudgery of London work, and yet keeping his spirit calm and his morals all the more righteous, by spending over his microscope evenings which he would too probably have been gradually wasted at the theatre'.